The Cucumber-Lime Salsa is super easy to make. Dice all the cucumber lime salsa ingredients and set it aside for 20 minutes for the flavors to mix for a yummy salsa! 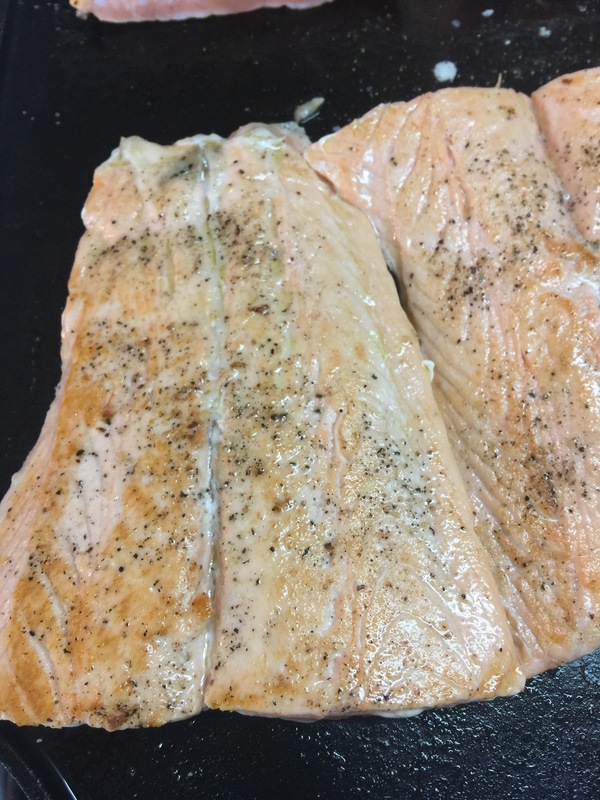 Salt and pepper the salmon fillets and place on heated skillet sprayed with cooking spray. Cook on each side until browned, about 4 minutes each side. 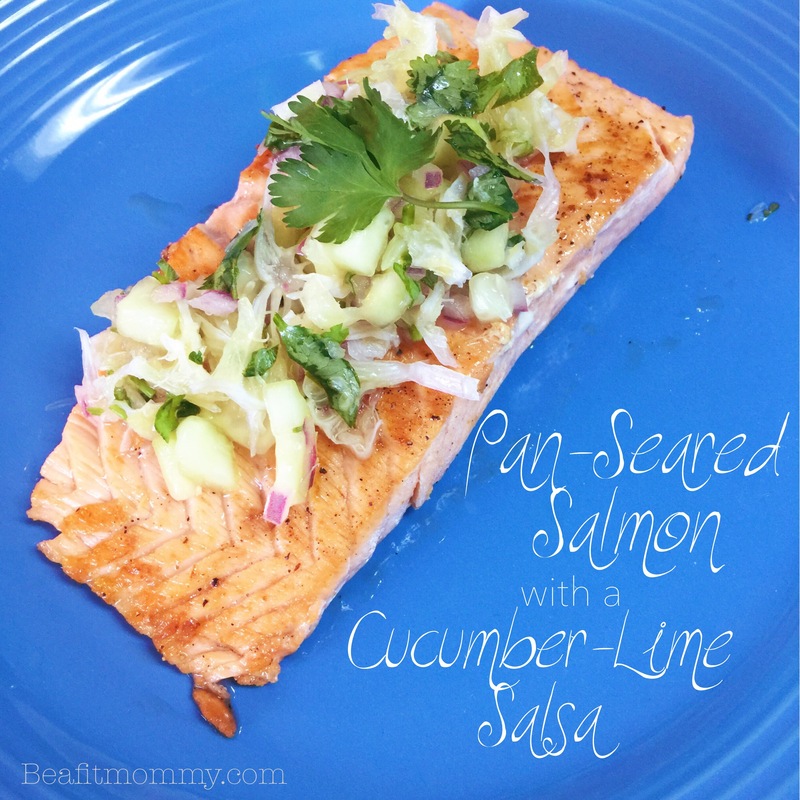 Top with the refreshing Cucumber- Lime Salsa and serve immediately. Does this look yummy?? Oh boy is it delicious! Remove the peel from the lime. 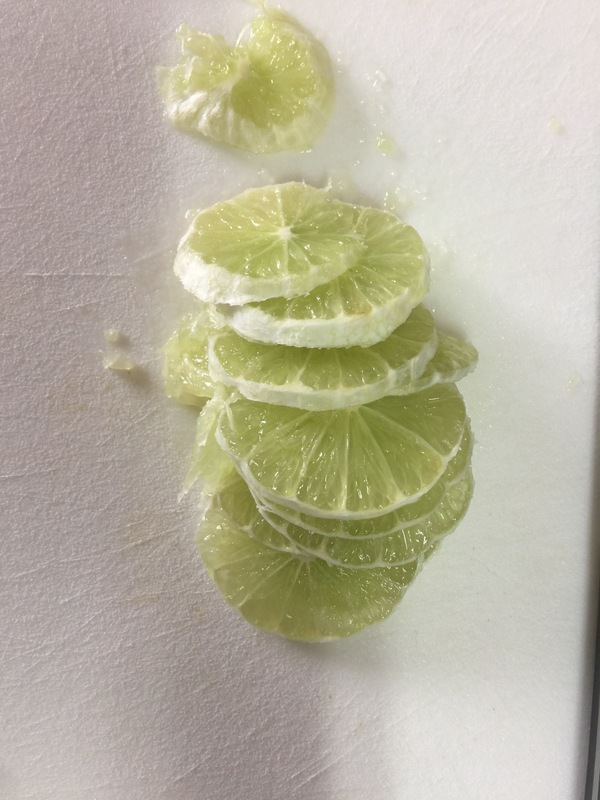 Finely slice the flesh of the entire lime. Mash in a bowl with a fork to release juices. 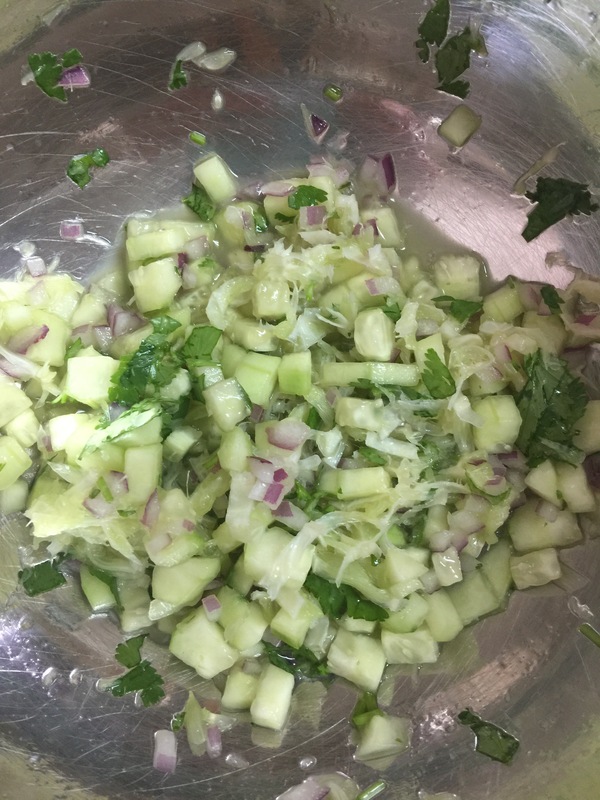 Add the jalapeno, cucumber, onion, cilantro and 1/2 tsp salt and stir to combine. Set aside for 15-20 minutes to let the flavors to combine and marinate together. Heat oil in a large skillet over medium heat. Season salmon all over with the remaining salt and pepper. 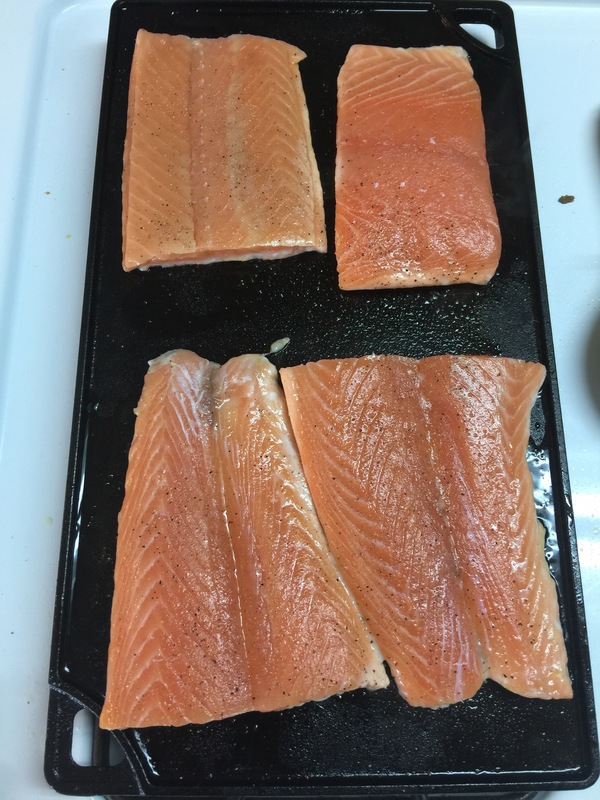 Cook salmon, until golden brown, about 4 minutes. Carefully flip salmon over and continue to cook until flesh is opaque and flakes easily with a fork, about 4 minutes. 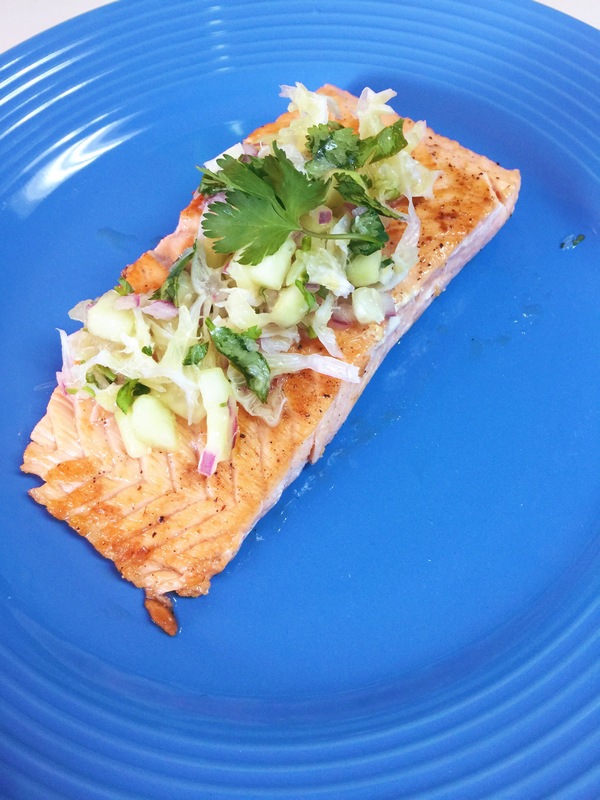 Transfer salmon to plates and top with cucumber-lime salsa. Serve with a salad or side of rice. Fat Burning HIIT Workout— Do you have 8 Minutes?? That’s all you need! How to Become the Fit Healthy Happy YOU! !